PayPal is the faster, easier, more secure way to get paid online. Set up a PayPal business account and tap into the millions of active buyers who look for the PayPal way to pay. It takes just a few easy steps. Why use PayPal for your business? Like most credit card processors, we charge a fixed percentage and a transaction fee on every sale. What makes PayPal different is that there are no extra fees for setup, downgrades, statements, withdrawals, or cancellation. Those hidden fees can really add up. Provide a better experience for your customers. PayPal is always free for your customers to make a purchase. They don't even need a PayPal account and can pay you in up to 25 currencies. And with our built-in mobile checkout, your smart phone customers will be happy, too. Setup is easy with your solution provider. 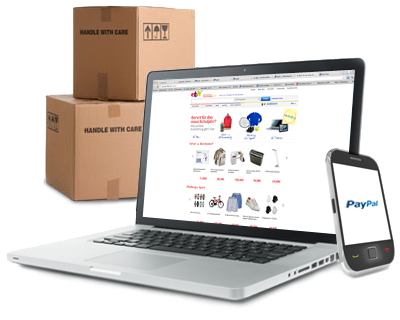 PayPal is pre-integrated with top e-commerce platforms. If you already accept credit cards online, you can add it as an alternative way to pay or you can make it the sole method of payment on your site. Once you sign up with PayPal, simply follow your solution provider's instructions on how to add PayPal payments to your site. (1) Conditions and exceptions apply, see Cardholder Agreement. (2) Cash back will be earned on net purchases when the receipt is signed or when the purchase is authorized by phone or online. Purchases made using a PIN are not eligible to earn cash back. There is no fee to use your PayPal Debit Card to make purchases from merchants that accept MasterCard. There may be fees associated with cash withdrawal and foreign transactions. Please see our User Agreement. PayPal Business Debit MasterCard(R) is issued by the Bancorp Bank pursuant to license by MasterCard International Incorporated. The Bancorp Bank is Member FDIC. MasterCard is a registered trademark of MasterCard International Incorporated.